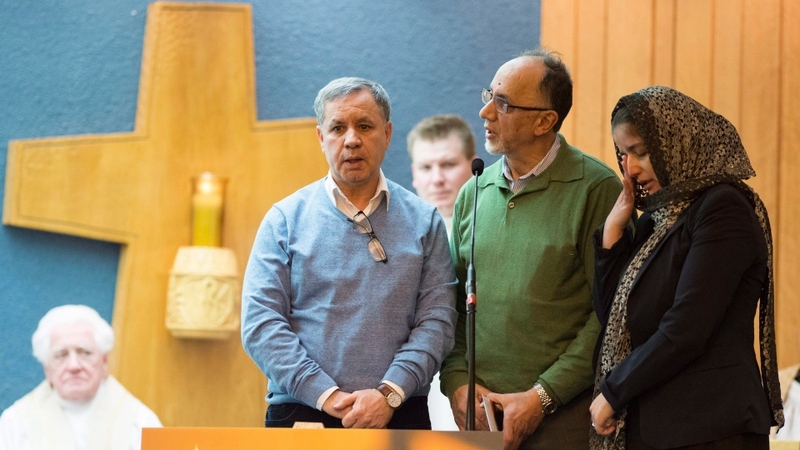 Quebecers of different faiths and political stripes gathered in a Quebec City Catholic church Tuesday evening, to honour the six men killed Sunday night at the mosque across the street. 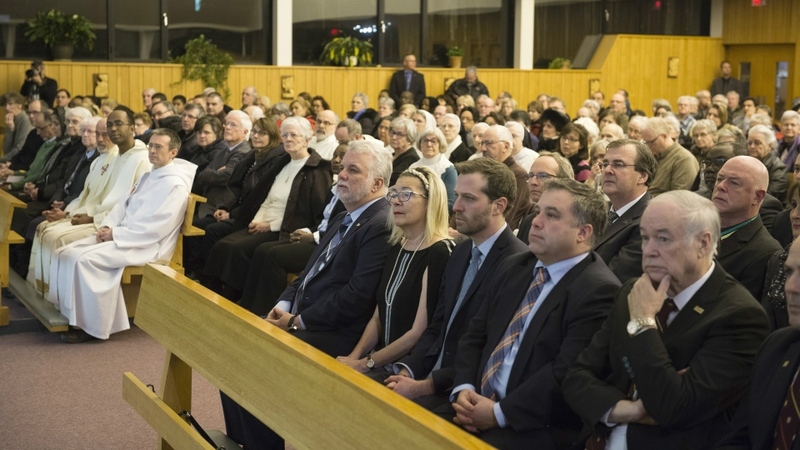 The service at Notre-Dame-de-Foy was a sign of solidarity with Muslims, who were targeted by a gunmen during Sunday evening prayers at the Centre Culturel Islamique de Quebec in Sainte-Foy. The accused, Alexandre Bissonnette, reportedly posted anti-Muslim comments on social media before the incident. The 27-year-old university student appeared in court Monday on six counts of first-degree murder and five counts of attempted murder. Laval University professor Khaled Belkacemi, 60; butcher shop owner Azzeddine Soufiane, 57; Aboubaker Thabti, 44 ; Abdelkrim Hassane, 41; Mamadou Tanou Barry, 42, and Ibrahima Barry, 39, were killed in the attack. In addition to the six men who died, five others were admitted to hospital with gunshot wounds. Two of them remain in critical condition but all are expected to survive. As of Tuesday evening, more than $325,000 had been raised online to cover funeral costs and other expenses for the wives and children of the victims. On Tuesday, the province’s premier and opposition leader linked the targeting of the mosque to Quebec’s ongoing debate about religious accommodation, which included a proposal by the Parti Quebecois to ban civil servants from wearing religious symbols. Quebec Premier Philippe Couillard, a Liberal, warned Tuesday that: "Badly chosen words hurt, sometimes for life, and we have to be careful of that.” He said there is a "danger" of normalizing racism and xenophobia, by dismissing it as freedom of speech. "People feel that they have a licence to do this, and we have to be extremely cognizant of it," he said. "Words can be knives." Opposition Leader Jean-Francois Lisee, meanwhile, said he regrets his comment during last year’s PQ leadership campaign that a burqa could conceal a firearm. 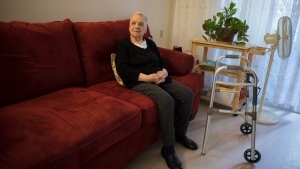 "It was not a good idea to bring that into the Quebec debate,” Lisee said. 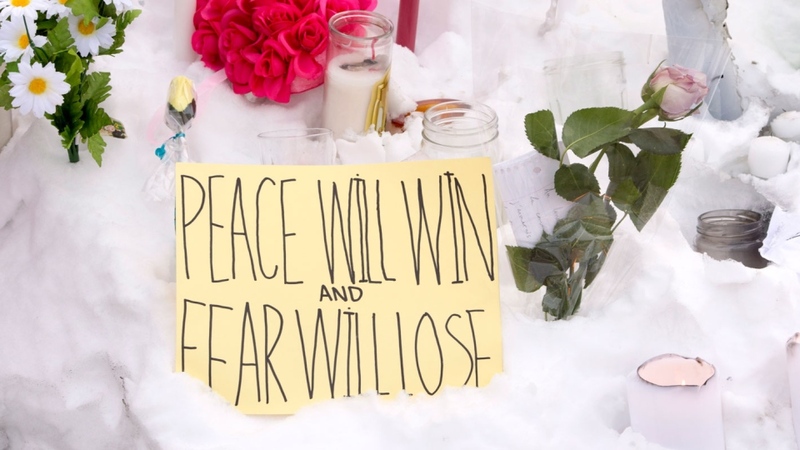 Quebec Muslims have continued to be targeted since Sunday’s shootings. Montreal's dedicated hate crime unit reported receiving 14 hate-related calls since Sunday night, compared to 55 for the entire seven-month period from last May to December, according to Chief Philippe Pichet. 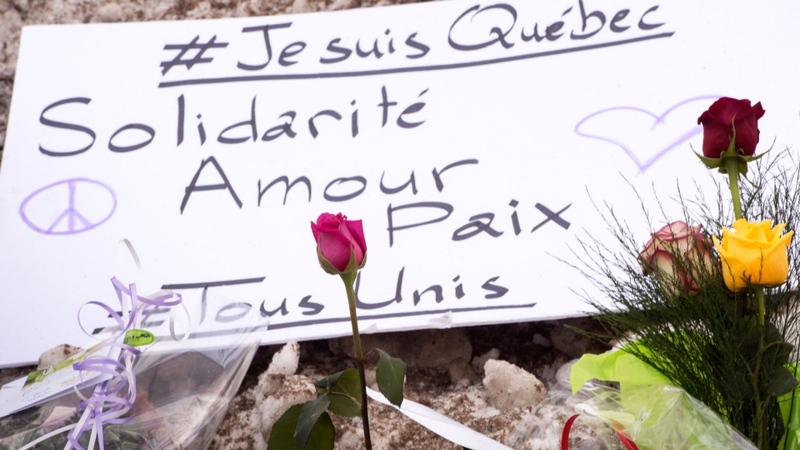 Police have stepped up security around mosques in Montreal and Quebec City following the attack, which Prime Minister Justin Trudeau and Premier Couillard have both labelled a "terrorist attack." Experts suggest that although it appears to have been a terror attack, it should be classified as a mass shooting until police offer evidence that the acts were based on political ideology or religious beliefs. Bissonnette was arrested Sunday around 9 p.m. at a bridge near the city's downtown core. Police say the suspect called 911 to turn himself in, saying he was armed and "wanting to collaborate." Bissonnette's neighbours and classmates described him as a person with few friends, who spent most of his time with his twin brother. They also told CTV Montreal he was frequently bullied. The 27-year-old had been studying political science at Laval University, after switching into the program from anthropology. Bissonnette's archived Facebook page shows he was interested in a number of right-wing nationalist figures, including U.S. President Donald Trump and French politician Marine Le Pen. Le Pen came out against the shooting on Tuesday, calling it "deplorable." Bissonnette also followed Richard Dawkins and Christopher Hitchens, two philosophers who have strongly criticized all forms of religion. He was also known in the community and on Facebook for espousing anti-immigrant, anti-feminist and other ultra-conservative viewpoints. Bissonnette was enrolled as a cadet in the Quebec City area from 2002-2004, but did not receive any military training. The Department of National Defence says it has no record of him participating in marksmanship programs. Police initially reported two individuals had been arrested Sunday in connection with the shooting. 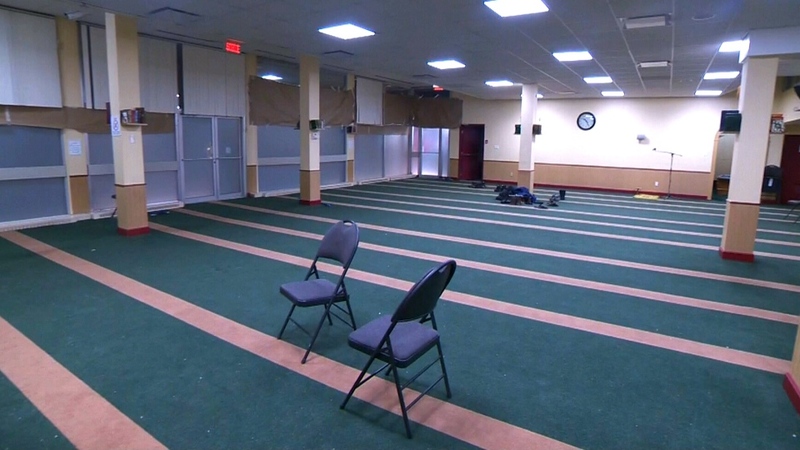 The second individual, whom Quebec media identified as Mohamed Belkhadir, was arrested amid the confusion at the mosque, after he fled at the sight of what he thought was a gunman. Belkhadir was reportedly helping a wounded friend after the shooting when he mistook an armed police officer for a shooter, and took off running. Police gave chase and apprehended him, but later determined that he was a witness. Belkhadir said after the incident that he doesn't blame police for their reaction. 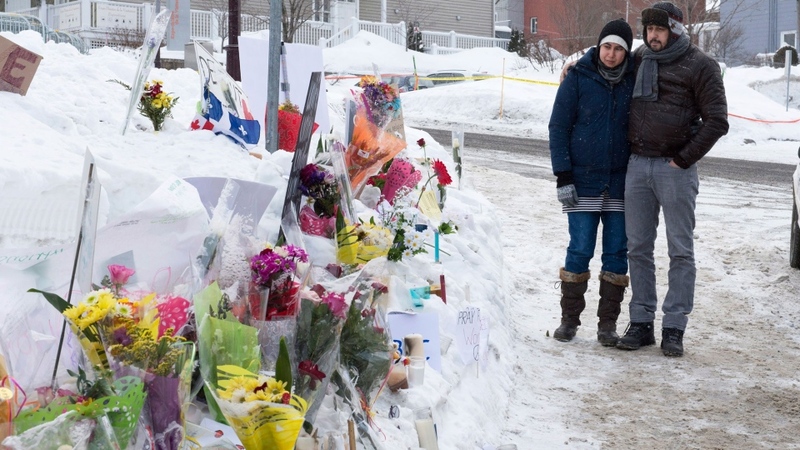 The Centre Culturel Islamique de Quebec in Sainte-Foy, where a gunman fatally shot six men, is shown on Tuesday, Jan. 31, 2017.